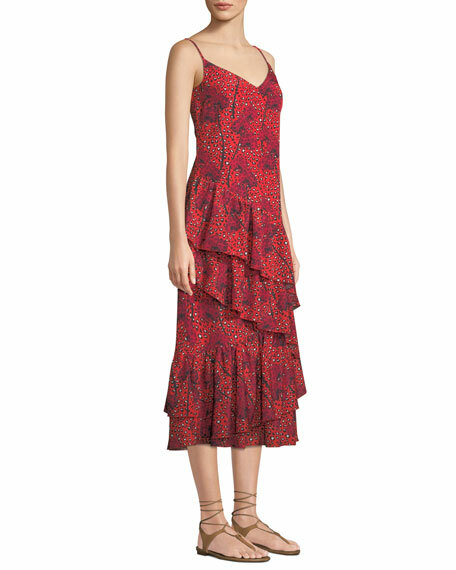 Borgo de Nor "Coco" dress with leopard and orchid print crepe. A.L.C. 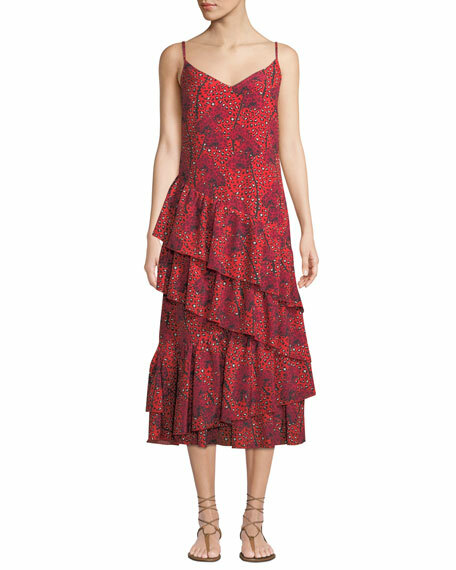 "Emile" dress with ruched bodice and twist front detail at waist. Scoop neckline. Short sleeves. Semi-fitted silhouette. Hem hits above ankles. Uneven hem. Slipover style. Viscose. Made in USA. 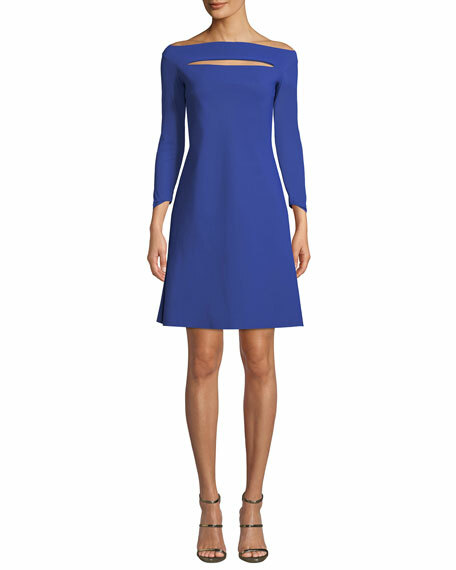 Chiara Boni La Petite Robe "Palomina" dress. Off-the-shoulder neckline. Three-quarter sleeves. Horizontal slit yoke. A-line silhouette. Raw-edge hem for ease of tailoring. Back princess seams. Step-in style. Knee length. Nylon/spandex. Machine wash. Made in Italy. 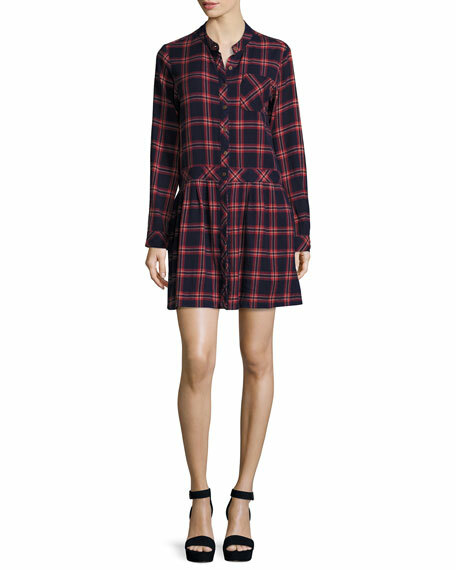 Current/Elliott "The School Dress" in plaid. Mandarin collar; button front with concealed placket below waist. Long sleeves; button cuffs. Chest patch pocket. Dropped waist. A-line skirt. Cotton. Imported. 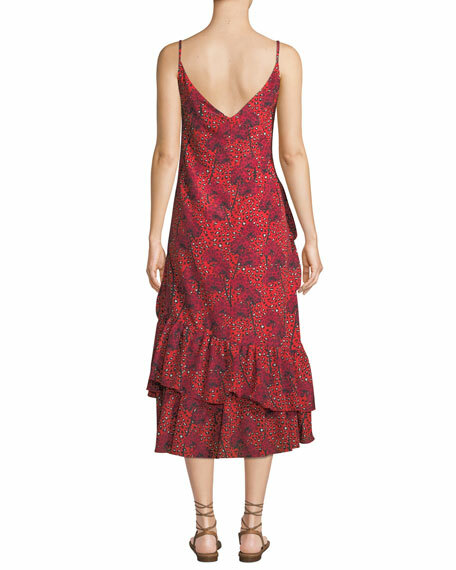 Heidi Klein "Carlisle Bay" coverup dress with lace trim. V neckline. Short sleeves. Tassel ties at sides. Straight silhouette. 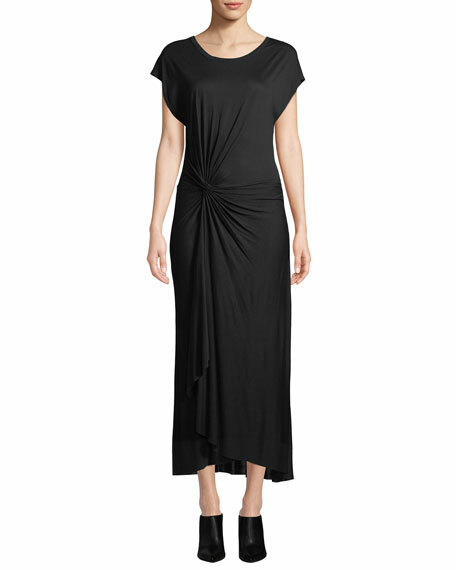 Side-split hem. Maxi length. Slipover style. Cotton. Imported.